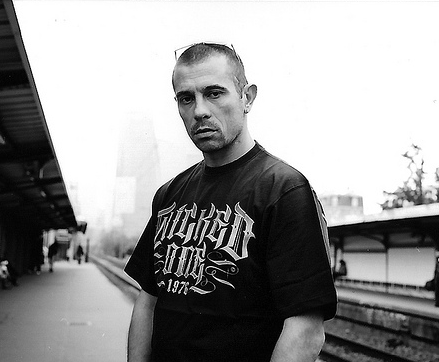 Kool Shen has made quite a name for himself in the French hip-hop world after releasing a number of hit songs over the past 15 years. And these days, he’s also been gaining some recognition on the poker tables following a couple of huge tournament victories. The most recent big win came at the 2012 WPT National Cannes tourney, where the Frenchman played his way through a 338-player field toward the €108,000 ($135,000) first place prize. This hasn’t been the only prominent poker tournament that Kool Shen (a.k.a. Bruno Lopes) has won in 2012 since he also captured the EFOP Diamond Championships title. This victory was especially notable because Lopes had to face noted French poker pro Aubin Cazals heads-up to seal the deal. Cazals not only has some impressive online poker results, but he also recently won a 2012 WSOP gold bracelet. Nevertheless, Kool Shen prevailed in this matchup and walked away with a €100,000 ($127,514) prize. Even when he hasn’t been winning, Lopes has still been impressive on the felt. For example, he finished fourth place in the 2012 EPT Madrid Main Event, which earned him €140,000 ($183,660). Other strong finishes by the hip-hop star have come at the 2010 Grand Prix de Paris (16th, $46,819), 2010 EPT Grand Final (42nd, $39,938) and 2010 Marrakech Poker Open High Roller (3rd, $36,963). Kool Shen has collected $699,394 in live tournament earnings and ranks 48th on France’s all-time winnings list. He also has a prestigious WPT title, which is more than a lot of full-time poker pros can say. But perhaps the most interesting aspect of Lopes’ poker pursuit is that he doesn’t even consider the game his career. Instead, he still focuses on the hip-hop world and producing future hits.